Before I couldwrite any thing about our project, I should introduce to the whole world the inspiration behind it. 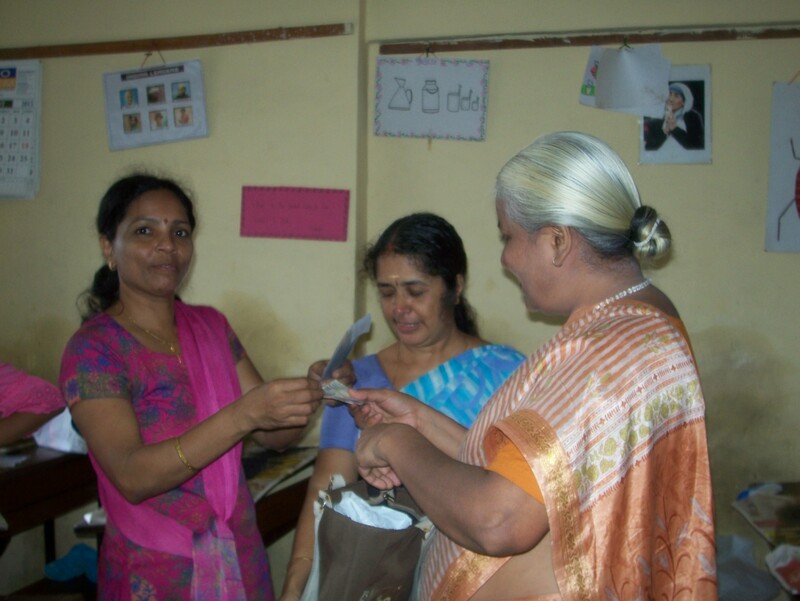 It’s none other than Mr. Vinay Kumar, a banker turned into a business man, who works with a noble purpose to empower the underprivileged women from the rural part of Maharashtra by making them part of his Agarbatti business. 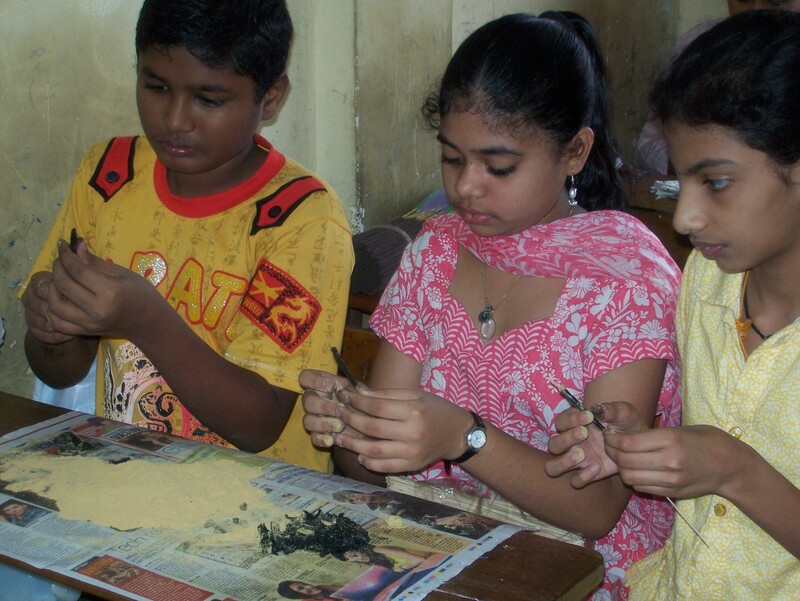 Our principal and the President of our Education society once visited his factory, from where they got a very detailed knowledge of Agarbatti making. They were wondered by the meticulous way in which they laboured. They shared the idea with the business enterprise team and after doing research on many aspects of the business we decided to take up AGARBATHI MAKING as our CHALLENGE. Mr.Vinay Kumar guided us whole heartedly with all the necessary information regarding the business. We launched our business on 1st of August. It took one day for us to decide the name of our sticks. Since the incense is made by innocent children we named it as INNOSCENT. Despite our tension, we started our work inspired by the enthusiasm and responses of the parents and students on our eco-friendly paper pens. At first we tried with 1kg material.Fortunately it was a success and we were able to make 30 packets of Agarbatti. To add to our happiness we were able to sell all the 30 packets in the school itself. The next day we received a very good appreciation from our principal about the aroma of the incense. This boosted our confidence and we were able to make 5 kg in a week. We continued to make sticks in large volumes. Apart from our business plan we even tried to make agarbattis in a traditional way.we realized within no time that it was not an easy task. It was just to experience the procedure of hand-made agarbattis. Then the challenge set before us was to get the product reach the immediate community.As part of this, a stall was set up in the school to convey the parents (who are part of the immediate community) about our enterprise. Again the Goddess of Luck smiled at us. We received full fledged support from our parents and our products began to get sold as hot pies. Since it was the time of Ganesh Chathurthi ,the team embarked on door to door sales in the immediate community, to make maximum profit. I was wonder-struck by the marketing skill of the team members. I saw very good entrepreneurs in them. Even the community welcomed us in a warm way. Our happiness reached its zenith, when our principal got a call from a resident demanding more agarbathi. If we are able to carry out our business in this pace, we will be able to reward our community with an agarbathi making machine. Let’s hope for the best. Innoscent offers natural and highly aromatic inscense sticks that refreshes the abode of peace and harmony. Innoscent is the outcome of our prolonged research on the market possibilities and availability of resources , that would enable a child to embark on a business venture with limited resources. Our clients are the parents and the immediate community ,for whom agarbatti is an unavoidable thing. Innoscent being GOOD,STRONG,THICK,STUPEFYING INCENSE, offers 24 hrs of unbeatable fragrance. Though we launch our product in a highly competitve market of branded products,we would like to see a gradual increase in our customers. Our marketing strategy includes affordable prices,setting up stalls in the school, at railway station, door to door sales etc. 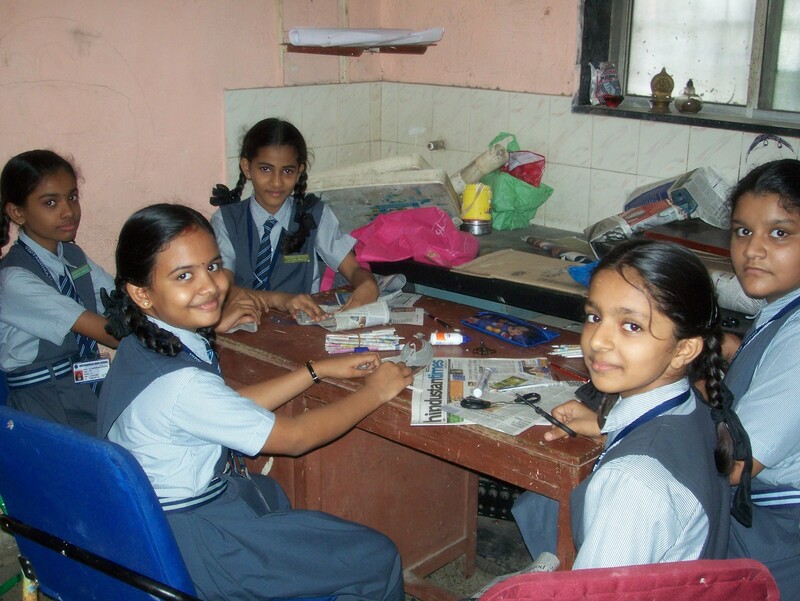 To bring novelty to the business endeavour, our children have decided to raise the initial capital by making paper pens. With the profit they achieve , they would make their initial leap onto the world of business. TEACH A MAN TO FISH will definitely help in inculcating values like dignity of labour, hard work, co-operation, self-reliance, inter-personal skill, marketing techniques and much more at this tender age. This opportunity will help in moulding promising corporates in future. Vidyadhiraja has decided to start the Agarbatti (Innoscent)Business from 1st of August. 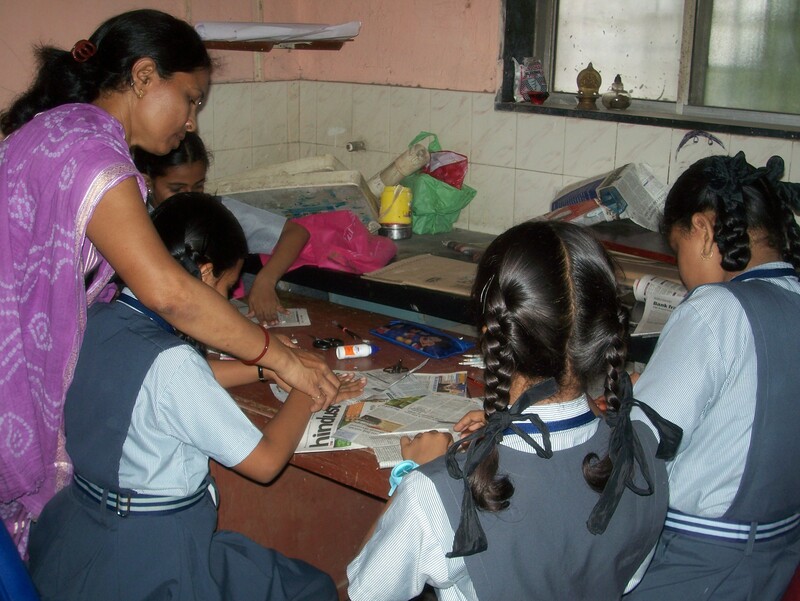 As a novel method to raise the capital for the Agarbathi business, a group of Grade7 students came forward with the idea of making paper pens. 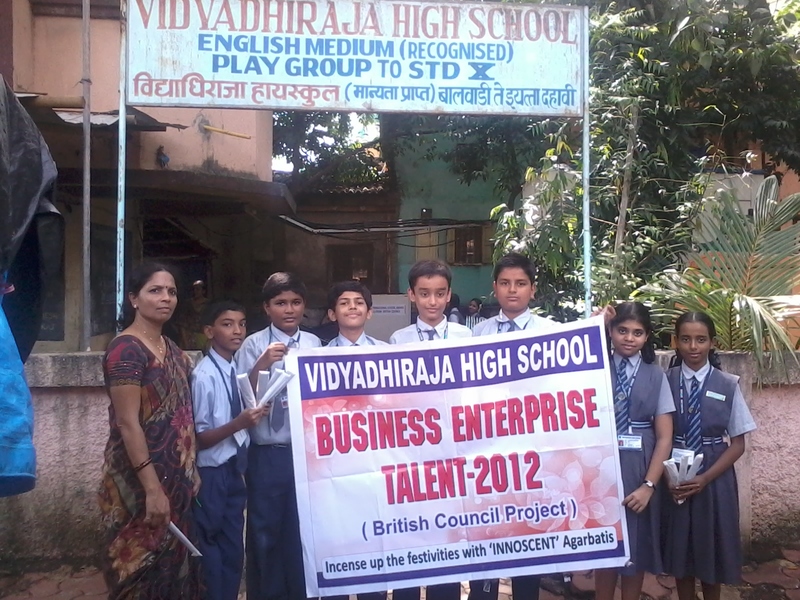 They started their project on 29th of July,2012. They made it out of news paper they collected as a part of news paper project(school project) and refills. 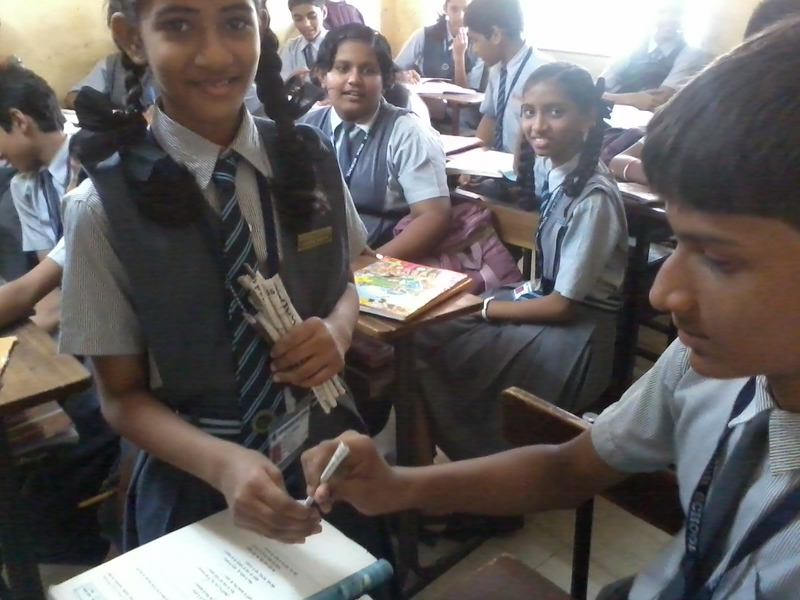 They were quite creative and enthusiastic that they took hardly two days to make 250 pens. They marketed the product in the school and gathered money for the initial capital. We feel proud of them for their collective effort to raise the fund voluntarily. 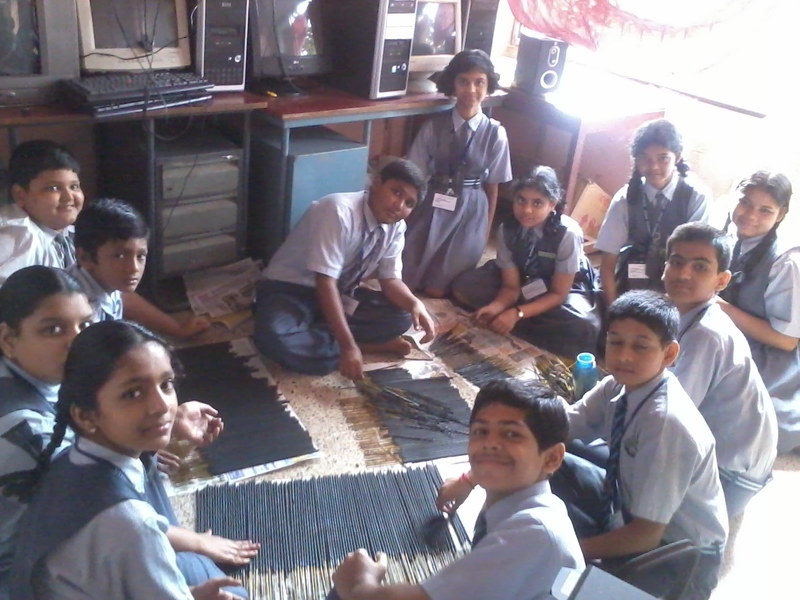 We got inspired a lot by the relentless effort of these children in aiding us. Now we are looking forward to start up with our business venture. Once you make a decision,the universe conspires to make it happen. Yes we will bear the words of Emerson in our heart and put our soul into our mission.